Education creates opportunities. Developing and preparing young people to be the next experts, innovators and leaders is a crucial investment in the future. MCC’s $140M Georgia Compact aims to increase the earning potential of Georgians by supporting development of the skills needed to grow a workforce that will drive the nation’s economy. 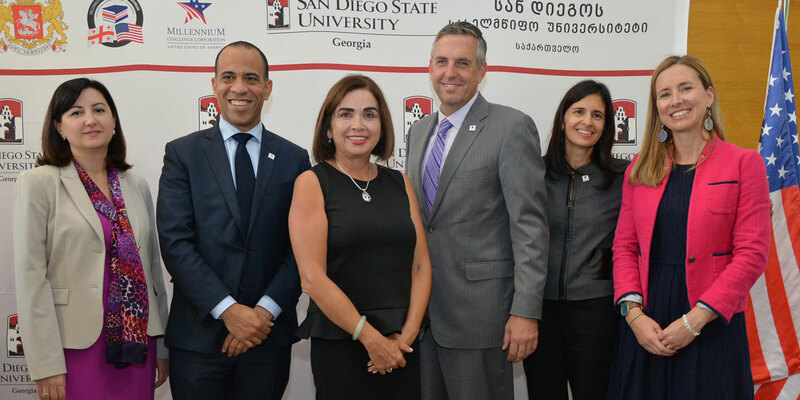 This effort includes a collaboration between San Diego State University (SDSU) and three Georgian universities aimed at modernizing STEM (Science, Technology, Engineering and Math) higher education and creating the opportunity for Georgian students to earn accredited bachelor’s degrees in STEM fields. 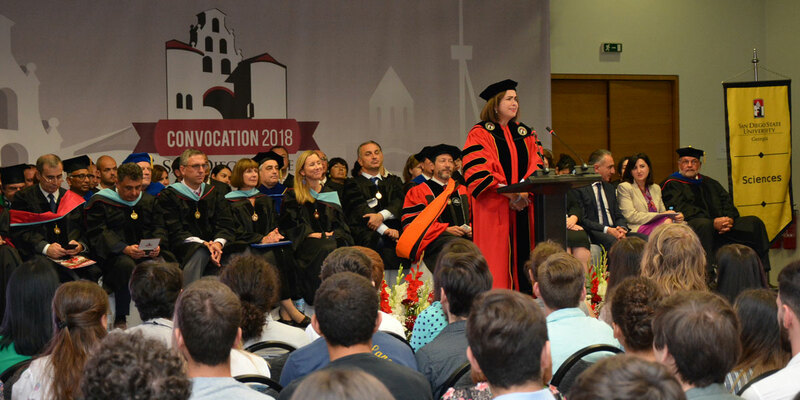 Last week, I had the honor of joining SDSU President Adela de la Torre at the Convocation Ceremony for SDSU in Tbilisi, Georgia where we marked the start of the 2018-2019 academic year. We welcomed 230 freshmen—the program’s largest class to date—as they begin pursuing STEM degrees. More than 550 students are now enrolled at SDSU-Georgia. SDSU President Adela de la Torre spoke to new SDSU-Georgia students on her first visit to Tbilisi. When MCC and SDSU entered into this partnership back in 2014, we began an ambitious journey. Working together, we recognized that careers in STEM put students on a path to success, and high-quality education is the first step down this path. President de la Torre acknowledged this idea as she shared with students that STEM can make them creators of the future, empowering them to transform lives not only in Georgia, but throughout the world. Looking out across the crowd, I was pleased to see a significant number of female students. Nearly 40 percent of the incoming class are young women. Around the world, women too often face barriers to education and careers in STEM. Increasing women’s participation in STEM fields is a key focus of MCC’s investment in Georgia because we believe that the economic empowerment of women is essential to the future prosperity and stability of all nations, including Georgia. COO Nash, U.S. Embassy Chargé d’affaires Elizabeth Rood, and MCC Resident Country Director in Georgia Jenner Edelman applaud new students at Convocation. 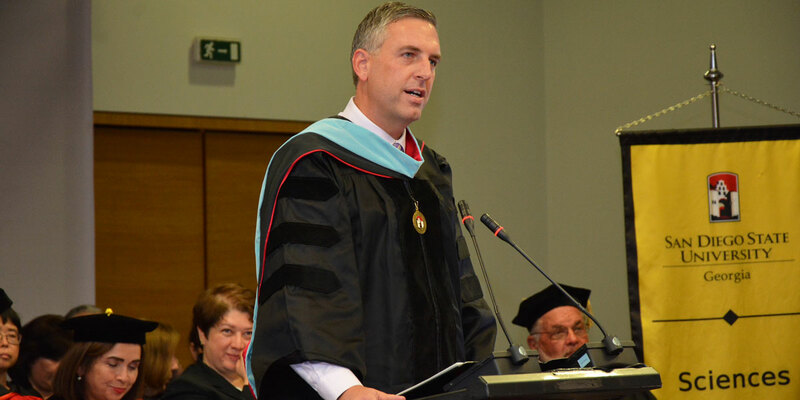 During the inspirational ceremony, Dr. Halil Guven, Dean of SDSU-Georgia, encouraged students to appreciate the opportunity they have, and pay it forward. In talking to several second and third year students after Convocation—they are doing this and then some. I heard from students that have started STEM clubs in their hometowns to inspire younger students to follow in their footsteps. 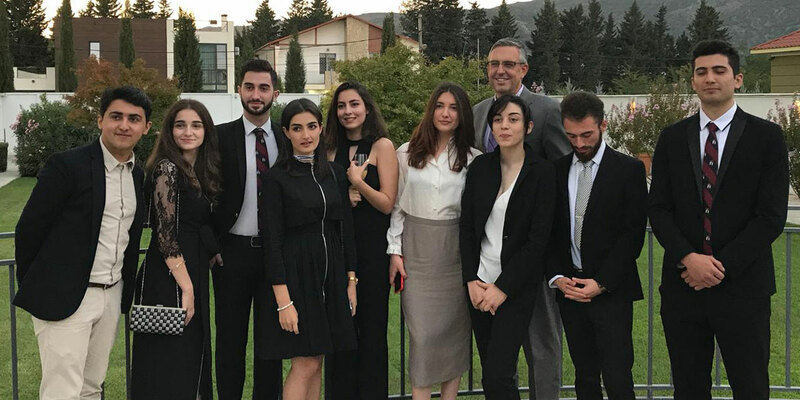 Others are teaching English lessons, and I met two young women who worked as counselors at the Women in Science (WiSci) STEAM camp MCC co-sponsored in Tbilisi this past summer, where they mentored young female campers. The SDSU in Georgia partnership was designed to create opportunities in STEM, and given what these students are already achieving while still in school, I see great things ahead for Georgia. MCA-Georgia CEO Magda Magradze; Acting MCC Chief of Staff Jonathan Brooks; SDSU President Adela de la Torre; MCC COO Jonathan Nash; Deputy Resident Country Director for MCC in Georgia Sonia Shahrigian; and Resident Country Director Jenner Edelman, mark SDSU Convocation and President de la Torre’s first visit to Tbilisi. Businesses in Georgia see this too, which is why in fall 2016, SDSU-Georgia and MCC/MCA-Georgia launched a public private partnership fund and kicked off a fundraising campaign that has yielded nearly $3.3M in scholarships from two dozen private sector companies, foundations, and individuals. I had the opportunity to meet a number of these private sector partners, including representatives from Georgian Water and Power, Silk Road Group, Georgian Industrial Group, Hunnewell Partners, the Gudavadze-Patarkatsishvili Foundation, and others from Georgia’s largest companies in energy, water, banking, IT, hospitality, and pharma. Each sees the need for a skilled workforce to grow their business, and many are already working with SDSU-Georgia students to put their STEM degrees to work. These private sector partners see an investment in STEM and SDSU-Georgia as an investment in the future of Georgia’s economy. COO Nash met with SDSU-Georgia students at the U.S. Ambassador’s residence. 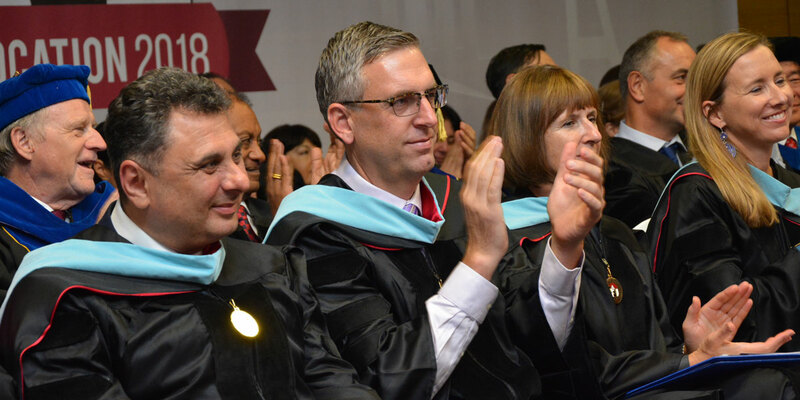 MCC looks forward to joining President de la Torre, SDSU, the Government of Georgia, and our partners in both the public and private sector in Tbilisi next summer when SDSU-Georgia will graduate their first cohort of STEM students. We are each cheering them on as they continue to accomplish great things and create big changes in Georgia.